How are you enjoying Spring? It’s certainly arrived at our shop. We spent some time on Saturday putting up flower pots and sticking “grapevines” to the front of the shop. It looks very gorgeous if I do say so myself and we had lots of fun doing it. We’ve even got some vines creeping through the shop. Take a look at our Facebook page and let me know what you think. Better still pop into the shop and see it for yourself. If you want to bring your kids or grandkids next week on Friday October 30th Tunstall Square is celebrating Halloween. We’ve actually called it “Tunstall Scare.” Cute hey? From 6pm to 4pm the kids can pop into all the shops on the west side of Tunstall Square and collect a trick or treat. Although Halloween is very American we’ve found that this is a great opportunity for kids (and parents) to dress up and safely enjoy Trick or Treating. It’s also a way to connect with the local community and traders and have a bit of fun. Last year we had everything from Fairies to Zombies calling into the shop. Rather than lollies we let all the kids choose a crystal tumble stone and they seemed to love it. This year we’re also giving parents who have never had an appointment with any of our practitioners before a $20 voucher to go towards a facial, massage or one of our other treatments. Tempted? Speaking of “treats” have you seen “That Sugar Film”? It’s by an Australian man, Damon Gameau, who was very healthy and very careful about his diet. He’d cut out all added sugar a number of years previously but decided to do a trial consuming 40 teaspoons of sugar a day for 60 days. He chose 40 teaspoons because that’s the Australian National average and he wanted to see what effect it would have on his health. The interesting thing is that he didn’t eat junk food at all. He ate heart approved foods that would typically be considered healthy like juices, low fat yoghurt, muesli bars, cereals etc. These foods contain surprisingly large amounts of hidden sugar. After 18 days he gained his liver was showing signs of damage. He started to feel drained and lethargic until he had a sugar hit then he would be able to concentrate for about 40 minutes before he crashed again. His mental function was unstable as his blood sugar levels fluctuated and he started to become dependent on sugar for energy. Damon’s first breakfast was Just Right cereal (7.5 tsp), low fat yoghurt (4 tsp), apple juice (9 tsp) so breakfast alone was approximately 20 teaspoons. This movie is quite shocking as it shows just how easy it is to consume 20 to 40 teaspoons of sugar without knowing it and without eating sweets, biscuits, cakes or any junk food. Just normal everyday food that most people eat and feed their children. One shocking statistic was that if you removed all the foods containing sugar from the supermarket yu’d be left with 20% of the products. Although he was eating the same number or fewer calories than before the trial by Day 12 his weight had increased by 3.3kg. By the end of two months Damon was not a well man. He was diagnosed with fatty liver, increased triglycerides, increased insulin resistance and a higher risk of diabetes and cardiac arrest. And this was after only two months of eating the Australian National average sugar. He had gained 8.5 kilos and added 10 centimetres to his waist. All of this on heart approved healthy foods! With obesity, diabetes and cardiac disease at epidemic levels and poised to bankrupt most developed nations maybe it’s time to rethink sugar. Up until recently conventional medicine hasn’t really seen sugar as a big issue. They’ve been far more vocal about cutting down on fat. Sugar, however, is added to most low fat products and high levels of sugar are proving to be just as detrimental to our health, if not more so, than fat. The issue is because the availability of hidden sugar has increased so dramatically how do we know how much is too much? Nutritionists recommend that the maximum amount of sugar is 6 teaspoons for women and 9 for men. I normally have a pretty good diet and luckily I don’t have a sweet tooth. Since watching this movie I’ve been checking the labels of any processed foods I eat and measuring the amount of sugar I have. I discovered that my breakfast of gluten free weetbix, soymilk and a little maple syrup contains 4 teaspoons of sugar. I also have one square of dark chocolate after dinner with a cup of tea. Luckily I don’t have sugar in tea or that would seriously blow the budget. One square of chocolate is another teaspoon. That leaves 1 teaspoon for the rest of the day. Hmmm. Why not check out for yourself how much sugar you’re having? Take a look at the total sugar on the nutritional labels of anything you eat. Four grams of sugar is equal to one teaspoon. I encourage you to do the Maths. You might be surprised. Now I know it was inevitable but my (almost) three year old grandson has discovered sugar. He weighs about a quarter of my weight so I guess his daily sugar quota should be a quarter of mine. That means 1.5 teaspoons of sugar a day is his recommended maximum. You might not like these numbers but one cup of orange juice contains 5 teaspoons of sugar. A can of coke (heaven forbid that anyone gives him that) contains almost 10. One TimTam is 2 teaspoons of sugar. When you consider that a Be Natural Fruit and Nut Bar contains 4½ teaspoons of sugar that’s 3 days worth for a 3 year old! If it’s yoghurt coated you add another teaspoon so that means you need to wait 4 days before the next treat. If you do the Maths in the other direction it also means that giving a glass of chocolate milk (7.5 teaspoons of sugar) to my grandson is equivalent to me having 30 spoons of sugar in my cup of tea. Ergh. I can tell you now that I would feel disgusting and I would definitely be grumpy and not want to eat my vegies. Once a dependence on sugar is established our taste buds and our metabolism changes and we start to crave it. When you quit sugar you need a little taste bud rehab for a couple of weeks. This can be tough but I’m sure your liver will love you for it. If you need help to cut back or quit sugar I highly recommend a Kinesiology or Hypnotherapy session to rebalance your body and clear your cravings. 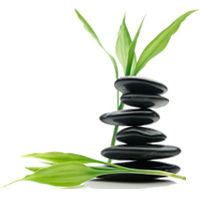 Our Naturopath always has some great advice and supplements that can help. Carolyn Beesey, our new Kinesiologist, is offering free 15 minute introductory sessions today and tomorrow. If you’re ready to quit sugar call us now to book a free 15 minute appointment with Carolyn as places are strictly limited. We also have a few copies of That Sugar Film if you would like to see it for yourself.